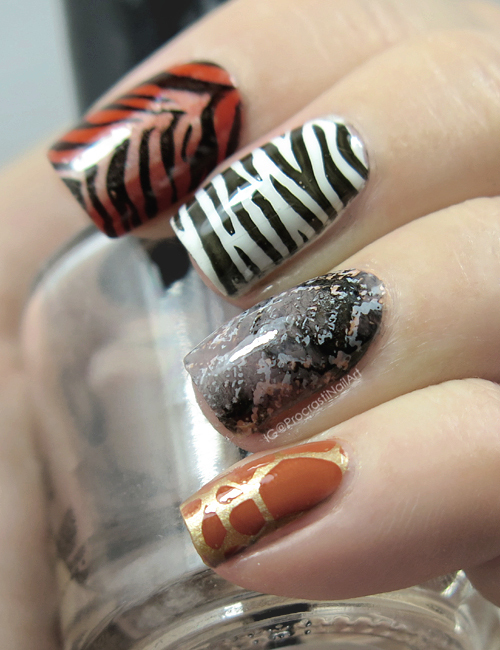 This is my next/last Digit-al Dozen look for July with the theme of 'Continents.' I only got three manicure looks done this week which I'm kinda bummed about, but there is so much going on in my life that I just didn't have the time. :( Combine that with the fact my nails keep breaking and you have a recipe for disaster, ugh. Anyway! This look is actually my favourite this week, and it features a stamped nail I'm super proud of - my triple stamped snake skin nail! So for all of my stamping I used images from MoYou London Pro XL 04 which I have been dying to use for ages. It's all animal prints! The giraffe was done for my lovely friend Ricki (whose blog you can check out here!) 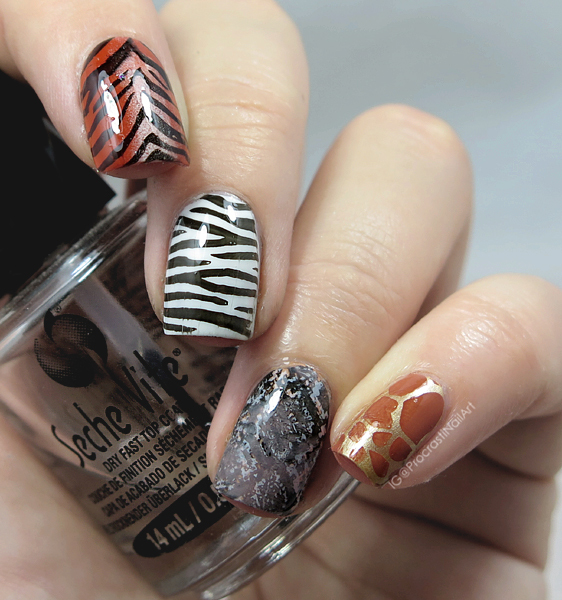 who loves giraffes like I love nail polish haha. 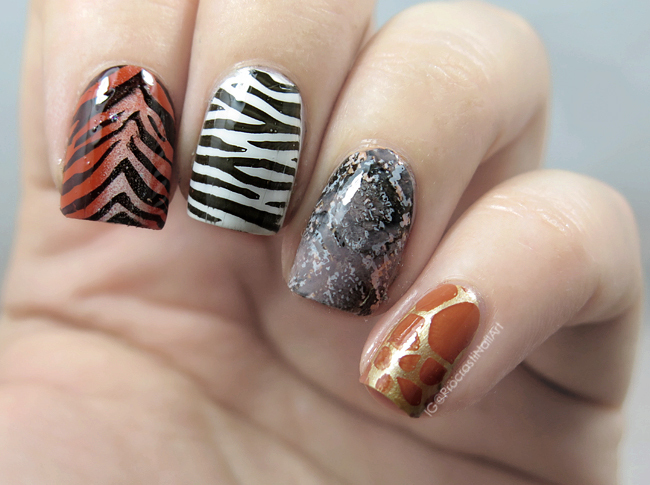 Some nice animal prints on the nails! I love this. That snake nail is amazing! I love the textural look! WOW! These are impressive. I can't wait to see what everyone does for this prompt. Ohhh, these are so cool!! The patterns all mesh so well together! I LOVE it. This whol prompt is great. Perfect mani for this theme. Your animal prints are awesome! Oh my lord that snakeskin nail is amazing. This is so cool, especially the snak skin!